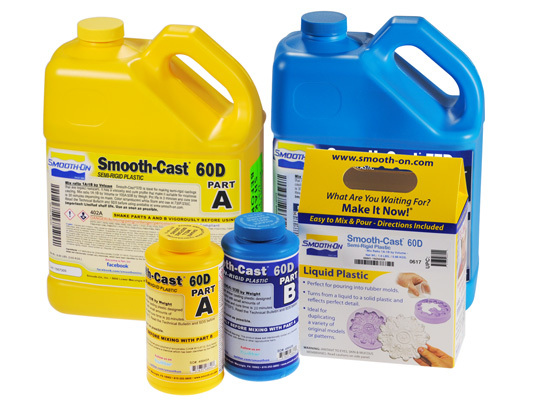 Smooth-Cast® 60D Product Information | Smooth-On, Inc. The Smooth-Cast® Semi-Rigid line of low-cost semi-rigid urethane casting resins cure quickly to semi-rigid plastics that offer exceptional strength and impact resistance.New Formulations – New Look! Smooth-Cast® 60D is newly reformulated with a translucent white appearance and improved physical properties. All Smooth-Cast semi rigids are now mercury free and phthalate free. These plastics are easy-to-use (mix ratio is 1A:1B by volume) and have low viscosities for minimal bubble entrapment. 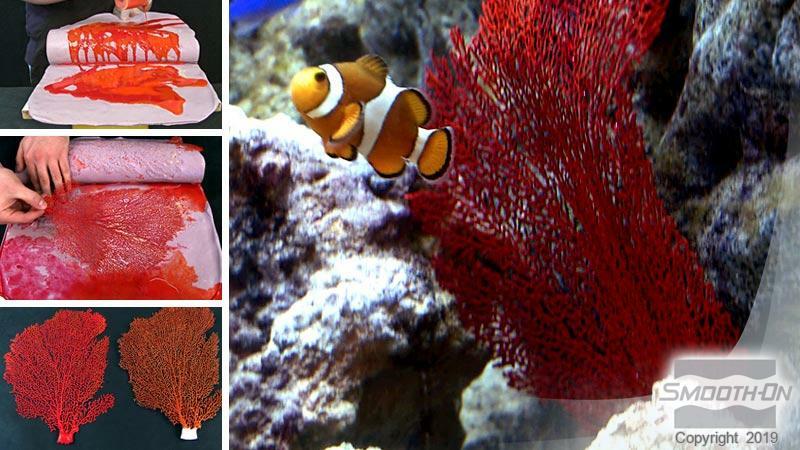 Vibrant colors are possible by adding SO-Strong® color tints or Ignite® color pigments. Suitable for making impact resistance prototypes, abrasion resistant parts, climbing holds, foundry patterns, roller facings, vibration pads, etc. Safety - Materials should be stored and used in a warm environment (73°F / 23°C). These products have a limited shelf life and should be used as soon as possible. All liquid urethanes are moisture sensitive and will absorb atmospheric moisture. Mixing tools and containers should be clean and made of metal, glass or plastic. Liquid urethanes are moisture sensitive and will absorb atmospheric moisture. Mixing tools and containers should be clean and made of metal, glass or plastic. Materials should be stored and used in a warm environment (73°F / 23°C). The components (Parts A and B) should be at room temperature (73°F / 23°C). Combine equal amounts of Parts A & B by volume in a mixing container. Make sure that you scrape the bottom and sides of your container several times. Do not delay between mixing and pouring. Also, the higher the mass concentration, the faster the material gels and cures. 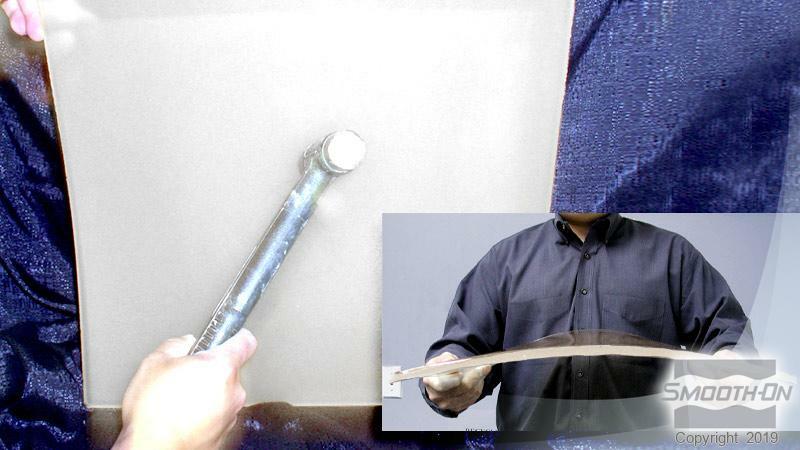 Performance - Cured castings are semi-rigid and impact resistant. They resist moisture, mild heat, solvents (intermittent contact) and can be primed/painted or bonded to other surfaces (any release agent must be removed) using Urebond or similar flexible adhesive. If machining material, wear breathing protection. Unpainted castings may discolor in proportion to duration and intensity of exposure to UV light.